» R.I.P., James Avery. And Uncle Phil. R.I.P., James Avery. And Uncle Phil. When you’re missing someone, it’s commonplace to look for anything to fill that void. So it’s a confusing moment when one of the foremost fillers of the void is suddenly gone. James Avery, an actor for more than 30 years best known as Philip Banks from The Fresh Prince of Bel-Air, but also as the voice of Shredder from the original Teenage Mutant Ninja Turtles franchise, died on December 31 from complications following an open-heart surgery procedure. For the past day, I’ve seen and heard many a “R.I.P. Uncle Phil” comment. My initial reaction is one of anger, as a man’s life has seemingly been reduced to a television character. But it’s also telling, and oddly beautiful, since Avery’s most remembered role was bigger than simply a television character. Because Philip Banks felt real. But James Avery was real. He was a man, raised by only his mother, who wrote plays in the late 1960s about the Black Power movement, work that ultimately led him into acting. And after years of that, he finally struck gold with the role of a lifetime, as Philip Banks, the 1960s black activist turned judge. 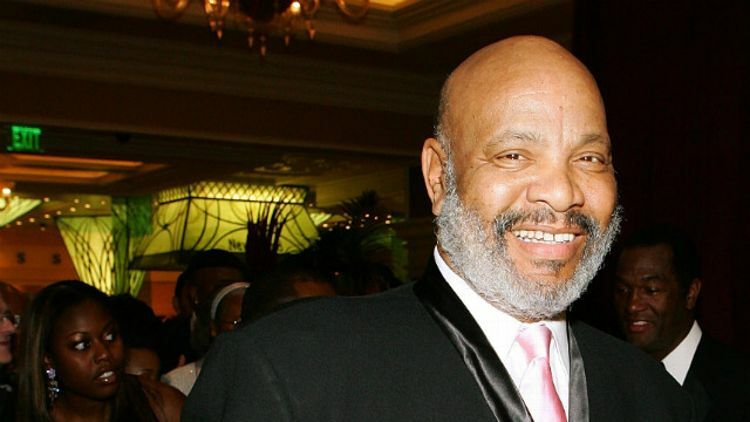 Philip Banks felt real because, to some extent, he was James Avery. And, in some way, the character of Will was also James Avery. The two main arcs of the show echoed the life of Avery, two arcs that, as I’ve transitioned from fatherless boy to fatherless teenager to fatherless adult, have been with me the entire time. For most of my life, I either looked up to Will or slowly found myself becoming him, either through clothing choices, mannerisms, or boneheaded mistakes. His entire existence on the show was learning how to be a man, through trial and error, due in large part to the reality that he was missing a father. But, albeit often begrudgingly, he had Uncle Phil. And, as time went on, Uncle Phil had Will. Avery’s portrayal of Will’s uncle (by marriage, an oft-ignored aspect of the arrangement) was incredibly realistic. The idea of absorbing an additional adolescent into an already large family, one that is a much-welcomed break from the standard nuclear family makeup of family television shows, was incredibly realistic. And mirroring that realism was the progression of emotions Avery’s character had toward Will over the course of the show. It wasn’t love with open arms at first. If anything, it felt like a chore. There was the initial bitterness of having to take Will in, the worry of messing up their perfect bourgeois life with this wild card from West Philly, the sense that he was a bad influence on his three biological children. And then, slowly, the realization that he was making their family stronger, the forgetting of a time when he wasn’t part of the family fabric, and the ultimate acceptance of him as a son of his own. Avery’s Philip Banks was the opposite of so many black fatherhood tales that were playing out in the media, on television, and in real life. Instead of abandoning a child, he took in an extra. It’s hard to fully express how important it was to see a character like that growing up, but it mattered tremendously. It’s why Philip Banks felt real. Mainly because you wanted him to be. As I get older, I look less and less at Will’s portrayal of his Fresh Prince role, because I’ve finally aged out of his character. So much of my life was spent watching — and studying — Will as he learned how to become an adult. Now I watch portions of the show and am noticeably fixated on Avery, a man who became this imperfectly realistic character that, more than anything, was a child rearer. A dependable husband. A protector. And a provider whose reach extended beyond solely monetary means. And in watching his character, I’m repeatedly drawn back to the single most important moment of the show’s history. To this day, it is still the most difficult scene of television for me to watch, the final three minutes of “Papa’s Got a Brand New Excuse,” the Fresh Prince episode in which Will’s biological father (played by Ben Vereen) inserts himself back into Will’s life, only to leave him out to dry at the end. It’s an episode in which Philip is straddling the line between uncle and father, aware of the space he has to give but also understanding of how poorly this can play out should Will’s father abandon his son yet again. And, cynically, it ends exactly how these things often end. Much of the attention of this scene goes to Smith, because it’s one of the most phenomenally acted moments of his career. But this scene sums up why Philip Banks, while certainly a fictional television character, felt real. He felt real if you saw any Will in yourself. He felt real if, when your “Lou Smith” walked out of the room, you wanted someone to yell at and scream at and ultimately cry on. And James Avery’s character continues to feel real if you’ve vowed to yourself to be the type of father and family member that Philip Banks represented. James Avery was 68 years old. The Bachelor (Finally) Returns This Sunday, But Have We Already Enjoyed Our First Sacrifice to the Gods of ForeverLove?